What should you look for in a video conferencing system? For productive and stress-free meetings, here are a few features to insist upon. 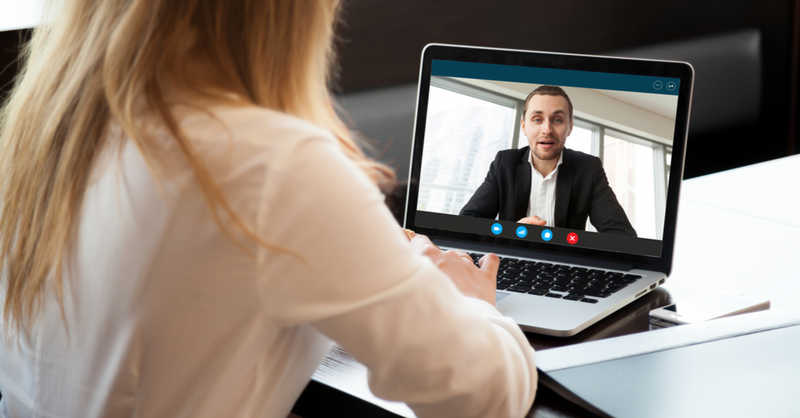 User-friendly —If your video conferencing solution is a hassle to operate, your employees may hesitate to take advantage of it. Insist upon user-friendly functionality that anyone in your office can operate. Easy to join in —You want a seamless meeting, and it's a fact of business life that not everyone arrives at the same time. Look for a video conferencing system that makes accessing and taking part in the meeting a simple, stress-free experience, no matter when attendees can join you. Easy to leave —Some attendees may need to leave before the video conferencing session is over. Others may need to have side discussions that could interfere with the core meeting discussion. Management tools that let you seamlessly remove attendees from a meeting and mute others are essential to a productive experience. A smooth experience —Network failures right in the middle of a presentation are not only annoying, but they can also cause meeting attendees to miss vital information. Look for a provider offering high-level datacenter redundancy to keep video conferencing interruptions to a minimum. Anyone can sell your company a product, but not everyone stays around after the sale. A local, family-owned business with a reputation for putting the customer first is a much safer bet than someone you'll never meet. When searching for a video conferencing solution or other technologies, look for an established local company with close ties to the community and a track record of responding quickly to their customers' needs. And don't forget to ask for testimonials. At American Business Equipment, we take your needs as seriously as our own. Contact us for all of your high-tech business solutions and furnishings today.